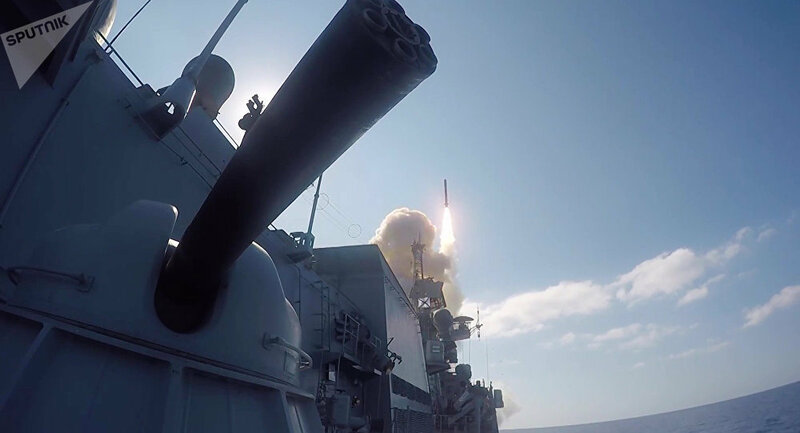 MOSCOW (Sputnik) - Russia created groups of carriers of long-range air and sea cruise missiles on all strategic directions, Chief of the Russian General Staff Valery Gerasimov said on Saturday. The official pointed out that the recent conflicts — especially in Syria — gave a fresh impetus to the development of weapons. "A special attention is paid to development of high-precision weapons in order to make [arms] more effective. [Russia] created groups of carriers long-range air, sea, land-based cruise missiles, which are capable of fulfilling containment tasks in strategically important regions," Gerasimov said at a conference in the Military Academy. Speaking further, Gerasimov noted that the Russian Armed Forces started to receive anti-drone systems including those based on new physical principles. "The increasing scale of unmanned aerial vehicle [UAVs] usage and difficulties in targeting them with existing anti-aircraft weapons requires creation of effective counteracting systems. Prospective anti-drone systems including those based on new physical principles are being developed and the troops have already started to receive them," Gerasimov said during a conference in the Military Academy. Earlier in the month, Putin made his annual address to the country's bicameral parliament, the Federal Assembly. 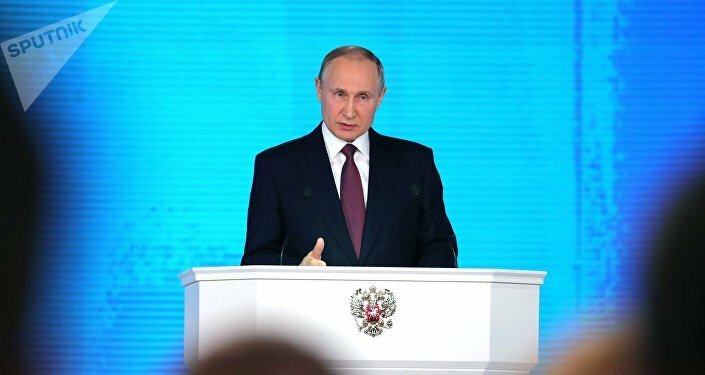 The Russian leader announced his country's development of new types of armaments, including intercontinental underwater drones, nuclear-powered cruise missiles, and a prospective hypersonic missile, and showed footage featuring tests of these weapons. Putin stressed that Russia's efforts toward enhancing its defense capabilities were being carried out within the framework of existing international accords. According to Putin, Russia is creating advanced weapon systems in response to the deployment of US missile defense systems, and these arms present no threat to other states.